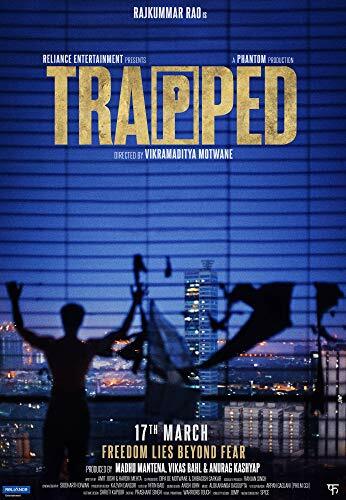 Description: 'Shaurya' (Rajkummar Rao) must pluck up the courage to stay alive after he accidentally locks himself up in his new rented apartment in a desolate Mumbai high-rise, for almost a week. To make things worse, his phone battery dies and since the building is devoid of residents, electricity and water or food supply, Shaurya must take extreme measures to survive this unexpected nightmare. 'Shaurya' (Rajkummar Rao) must pluck up the courage to stay alive after he accidentally locks himself up in his new rented apartment in a desolate Mumbai high-rise, for almost a week. To make things worse, his phone battery dies and since the building is devoid of residents, electricity and water or food supply, Shaurya must take extreme measures to survive this unexpected nightmare.